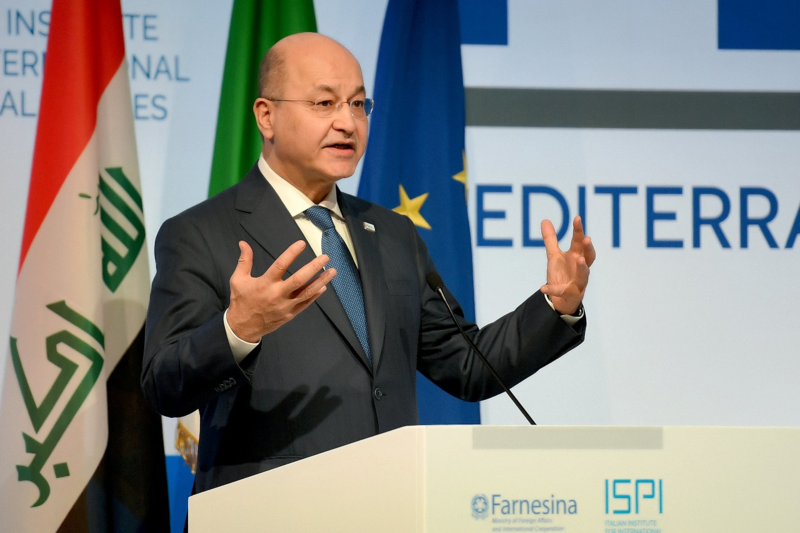 President Barham Salih emphasized that the oppression of the former dictatorial regime did not exclude any of the sons of the communities of our people. His Excellency met with the Head and members of the Provincial Council, the Governor, and the Directors of the security and service departments there. 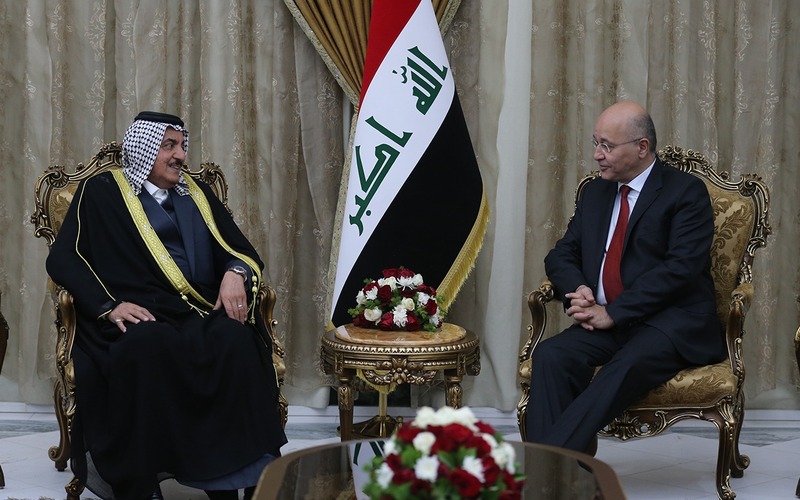 The President stressed that Iraq has passed through an accumulative injustice from the previous era to ISIS terrorism. We have to be shoulder to shoulder and be one hand to build our country, rid ourselves from the precipitation of the past in order to achieve a free and dignified life worthy of the sacrifices of our people. His Excellency indicated that he has special memories with the good people of Samawah and he will be of help to them. President Salih explained that Samawah is one of the provinces that is characterized by its social cohesion and patience for the inequity and injustice it is still suffering from. The President called on officials to exert utmost efforts in order to provide services in a way that achieves stability and prosperity for the Province and seeks to attract investors and capital to initiate agriculture, industry, and other sectors in it as well as the importance of attaching tourism the required attention for what al-Muthanna's has of historical, archaeological, and natural sites. 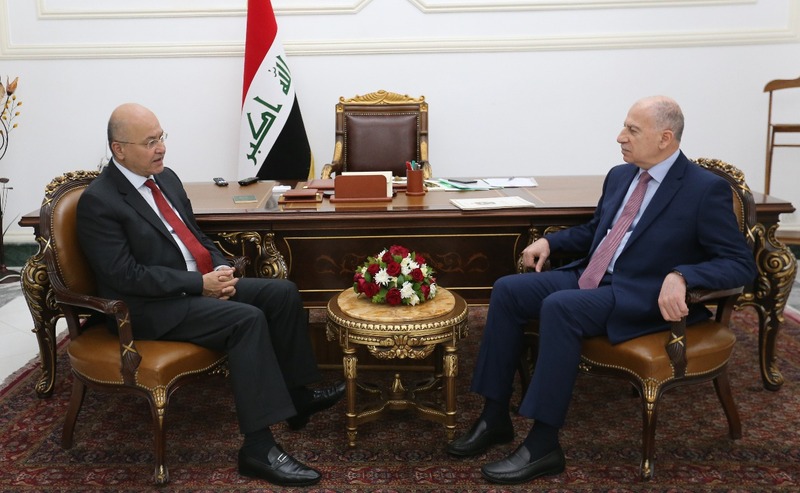 President Salih listened to an expanded explanation presented by the Governor, the Head of the Provincial Council, and the Heads of Departments on the problems and obstacles that hinder the development of the status of the Province. They also reviewed the most prominent achievements witnessed by al-Muthanna at various levels.